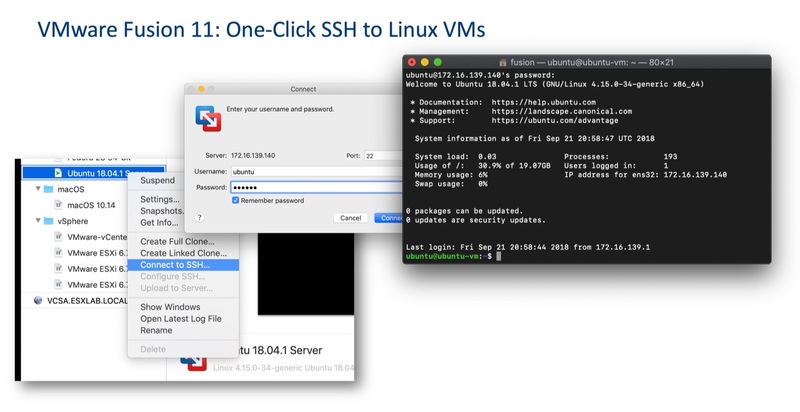 VMware、macOS 10.14 MojaveやMBPのCore i9をサポートした「VMware Fusion v11」シリーズを最大45%OFFで提供するブラックフライデーセールを開催。 | AAPL Ch. 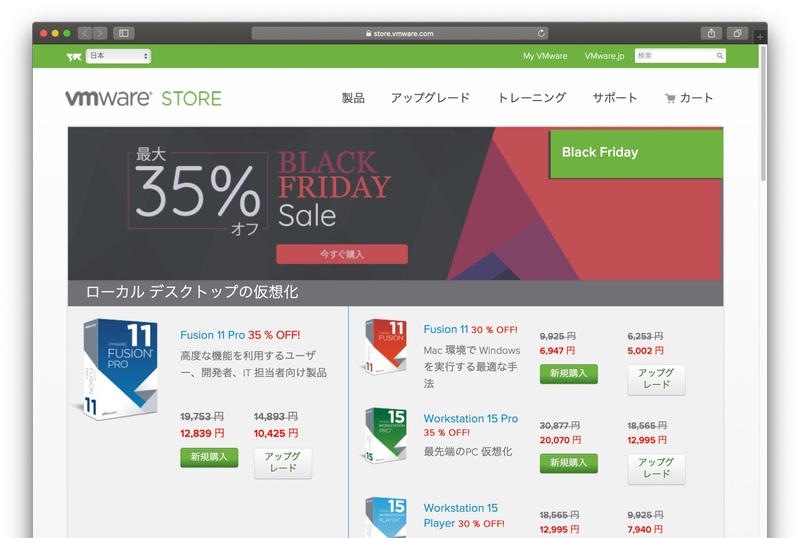 BF2018 Coupon Code Expires November 23, 2018 at 23:59 (Pacific Time). 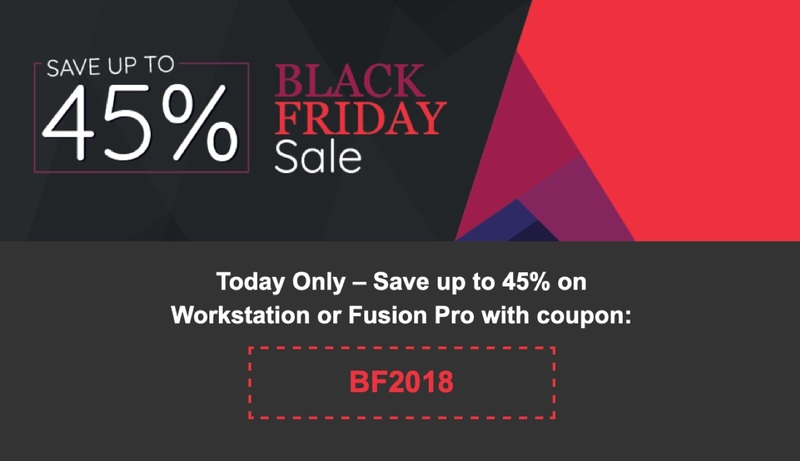 Coupon code BF2018 valid only on Fusion Pro and Workstation Pro. Discounts as marked with 45% on Licenses and 40% on upgrades with the use of Coupon Code BF2018.